Capt Dans Fishing Charters is a Fishing Comapny located in Key West, FL and has been servicing all of Key West and the surrounding areas for many years. 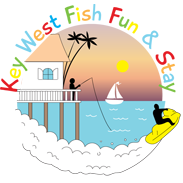 We offer Fishing Charters, Fishing Tours, Fly Fishing, Group Fishing Trips, Back Country Fishing Charters, Fun Fishing, Family Fishing, Big Game Fishing, Charters, Shark Fishing, Tarpon Fishing, & more. Here at Capt Dans Fishing Charters, our mission is to always provide quality Fishing service at an affordable price. The success of our Fishing Tours is due to the dedication we provide to our customers. Customer satisfaction is always our number one priority! Contact us or check out our website for more information! Mention How You Found Us and Receive 10% Off!